Seocho Goblin has been visited by the tombs of Hyonyeongdaegun and Changkwu Temple, which are designated as tangible cultural properties. 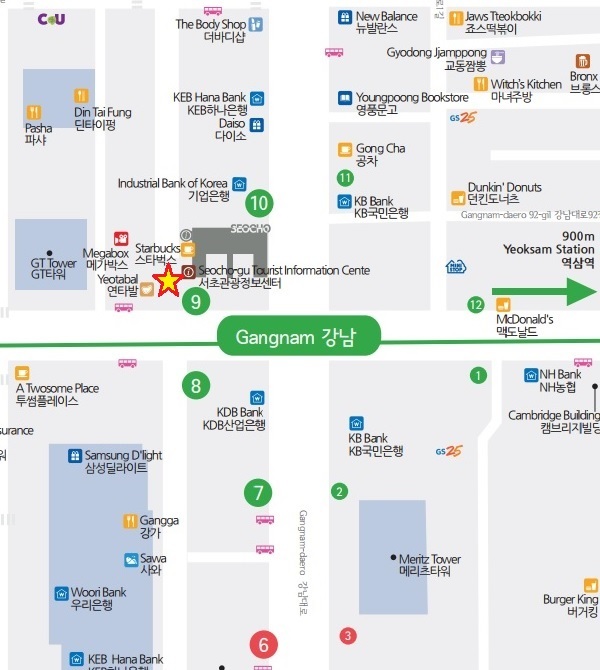 Exit 4 of Seocho’s Bangbae Station, exit to the left, and go straight for about 4 minutes. Hanok as Korean Old house in downtown The graves and shrines of Hyoryeongdaegun come right out. So let’s go into the entrance. It’s not summer, yet is it? The scenery that makes no sense in December. A live painting of an oriental painting that stretches out before you! ait a minute. Who’s Prince Hyoryung?!!! Name beams (補, original text is 示) a first-name number Sun-suk. Siho Jeonghyo. The second son of King Taejong Lee Bang-won and his mother is Queen Wongyeong Min. She is a daughter of a woman named Yesung and has six sons and one daughter, and one son and one daughter from the measuring room. He enjoyed reading books and was good at shooting arrows, so he always followed Taejong to the hunting ground, and was very filial. When his brother Yangnyeong was abolished from the power of the tax collector, he thought he would be crowned as a tax collector, but when his younger brother Chungnyeong was crowned as a tax ruler, he became absorbed in Buddhism. Chungnyeong Pass is said to have been close to each other, and when Sejong visits his home, he discussed national affairs until late at night. In particular, Buddhist followers were encouraged to gather Buddhist monks and preach Buddhism despite their opposition. In 1435 when Wongaksa Temple was first founded in 1464 (the 10th year of King Sejo’s reign), it became a manufacturing center for the Joseon Dynasty to supervise the history and published Wongakgyeong (Wongakgyeong) in its national territory He was good at writing. He was friendly with his relatives and lived to be 91 years old, going through Sejong, Munjong, Danjong, Sejo, Yejong and Seongjong. I’ve never known that there was such a dreamtongsan walking section in downtown Seoul. A tree was like a piece of art, so I had the illusion that I was looking at the exhibition. Can you believe that the tiles and scenery of the historical dramas of Korean Dynasty were displayed in front of a modern city? Please visite here when you have time! In the middle of winter, you can see flowers, breeze, and accessibility are great, so it’s a good place to go for a walk.